The beginning of the year is marked by the “Day of the Three Kings”. 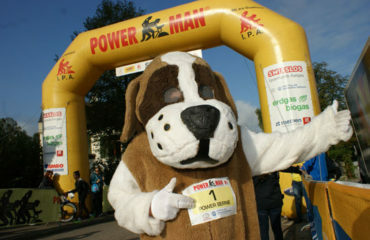 The Powerman Zofingen also writes history in this respect and made it a “Day of the Three Queens”. 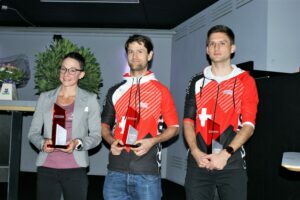 That three Swiss world champions from the triathlon and duathlon categories are on the same stage at one event has probably never happened before. Natascha Badmann (six-time Ironman Hawaii winner and two- time long-distance duathlon world champion at Powerman Zofingen), Daniela Ryf (four-time Ironman Hawaii winner) and Petra Eggenschwiler (2018 World Champion Zofingen ITU Powerman Long Distance Duathlon) honoured the partner meeting of Powerman Zofingen and the “Night of Duathlon” of the Swiss Duathlon Federation Swiss Duathlon at Youcinema in Oftringen with their partner meeting of Powerman Zofingen and the “Night of Duathlon” of the Swiss Duathlon Federation Swiss Duathlon in Oftringen with their “Night of Duathlon”. 19/20 September. “The World Championship long distance race has absolute priority and should be the flagship of the event”, says Stefan Ruf, OC President of the Powerman Zofingen. to right: Natascha Badmann, Daniela Ryf and Petra Eggenschweiler. 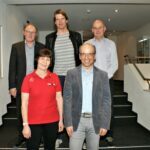 Melanie Maurer, who grew up in Wikon and lives in Bern (Liebefeld), was elected Duathlete of the Year. 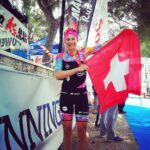 She is Vice World Champion 2018 Zofingen ITU Powerman Long Distance Duathlon. “I’ve been crying since I was 30 years old, but now I’m so overwhelmed by this choice.” The 31-year-old Fabian Zehnder from Zurich (TG Hütten, Wädenswil) was elected Duathlete of the Year. 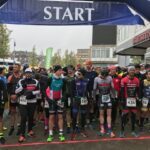 “This award makes me very proud, of course, but I would have preferred to finish the Powerman Zofingen 2018 and show off in the most important race of the season.” The award “Duathlon Rookie of the Year” went to Jens-Michael Gossauer (Greifensee) at the Night of Duathlon in Oftringen, which was organized jointly by Swiss Duathlon and Powerman Zofingen. 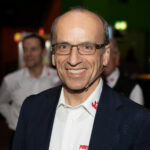 The Powerman Achievement Award, which is given every year to people who have achieved something extraordinary for duathlon sport, went to Raoul Voirol, OC President of the Powerman Tramelan (www.powerman-tramelan.ch), which was founded in 2018 and will take place this year on June 30. 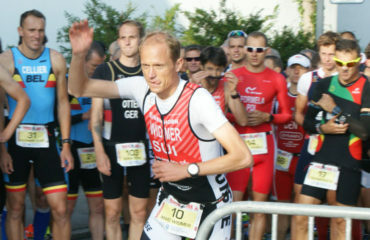 (Duathlete of the Year) and Jens-Michael Gossauer (Duathlon Rookie of the Year). 1.) 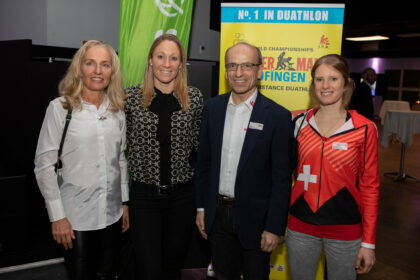 Stefan Ruf, OC President of the Powerman Zofingen amidst the three endurance queens from left to right: Natascha Badmann, Daniela Ryf and Petra Eggenschweiler. 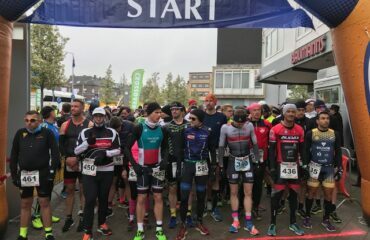 Diverse interviews at the “Night Of Duathlon”.